Lifetime LED Lights 5.75" Round LED headlight Motorcycle Harley 5 3/4"
Your new 5.75" (sometimes called a 6" headlight) round LED headlight is the perfect upgrade for your Harley or other motorcycle that uses the 5 3/4" round headlight (H5001). 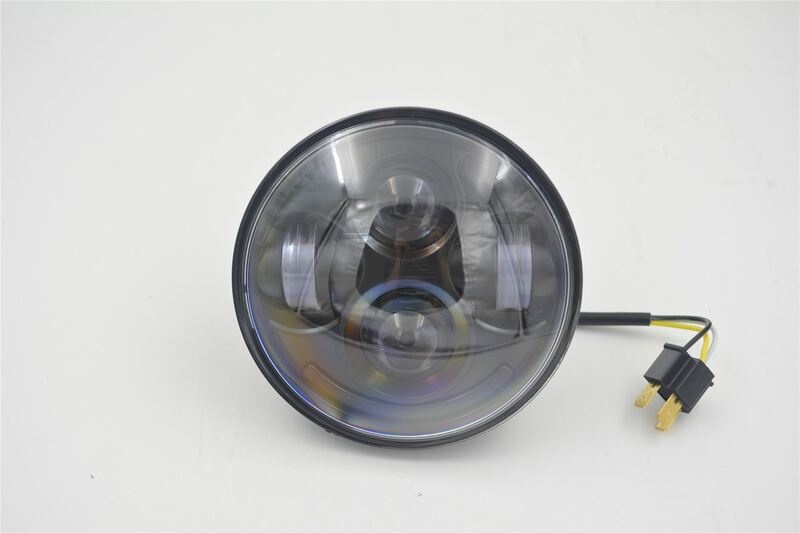 Your new 5.75" (sometimes called a 6" headlight) round LED headlight is the perfect upgrade for your Harley or other motorcycle that uses the 5 3/4" round headlight (H5001). These headlights have an amazing 40 watts of CREE LED power. You have Hi beam and Low beam in these lights, and a H4 type plug for easy installation. These replace your old yellow sealed beam halogen H5001 headlight. Giving you a color temp of 6000k is a whole new riding experience.